May 1, 2018—Bill welcomes debut novelist Joan Dempsey to the BlogTalk Radio show. April 16, 2018—Ludka is a little old lady in a cozy, charming, yuppie New England town. She doesn’t think of herself as anything but a “foolish old woman,” yet as circumstances shift, truth erupts, and attacks bombard her small family, she must accept who she actually is. 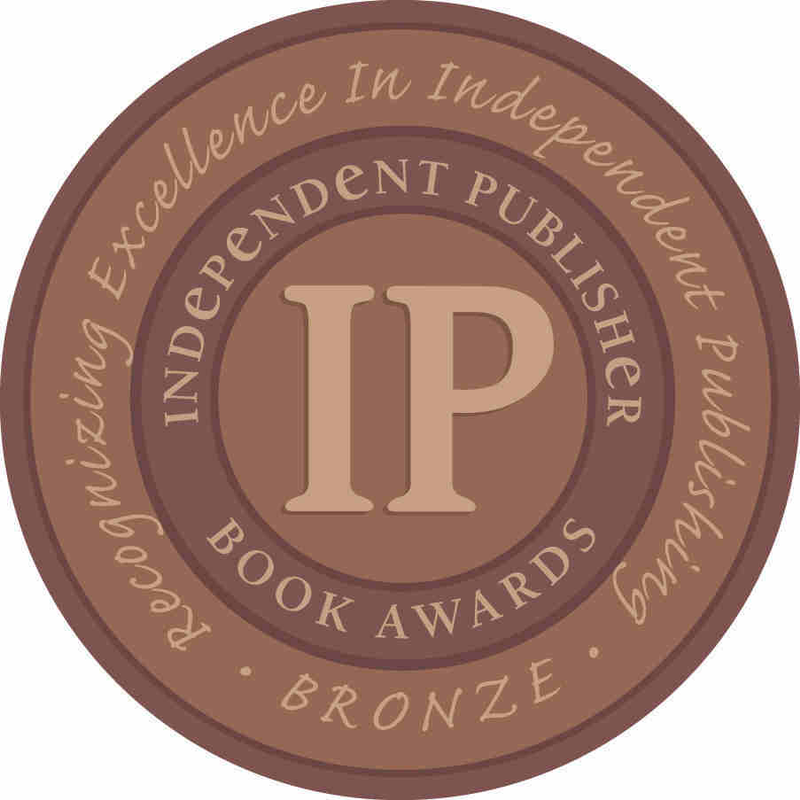 April 10, 2018—Congratulations and sincere thanks to the independent authors and publishers who participated in our 22nd annual, 2018 Independent Publisher Book Awards contest.THIS IS HOW IT BEGINS won a bronze medal for literary fiction. Read the announcement and see all the winners. 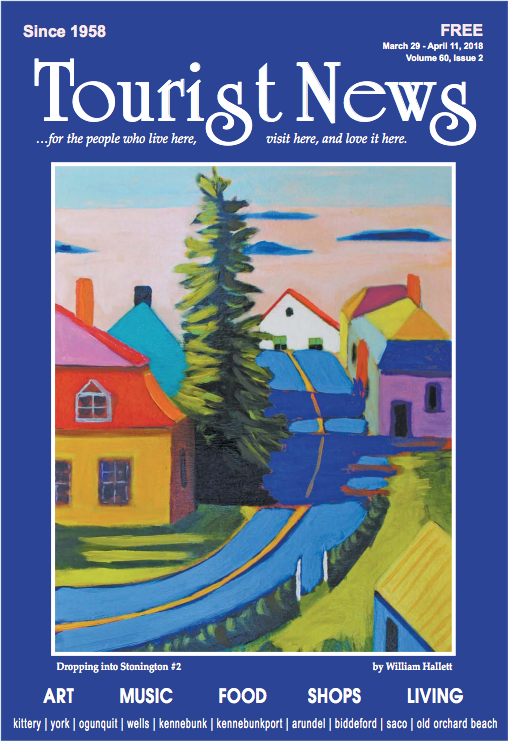 March 29, 2018—Mainely Authors is a Q & A interview with a Maine author that is featured in every issue of Tourist News. 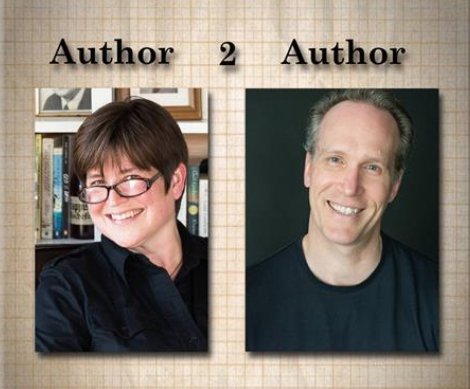 Kristen Kuehnle, owner of Fine Print Booksellers in Dock Square in Kennebunkport, asks Maine authors about their writing process and about authors they enjoy reading. 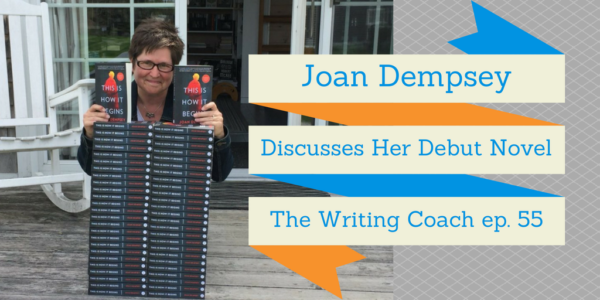 This week’s interview is with Joan Dempsey. 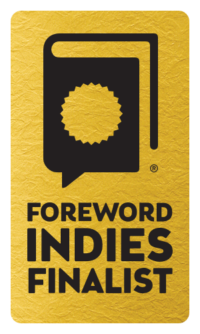 March 20, 2018—As part of its mission to discover, review, and share the best books from university and independent publishers, Foreword Reviews is pleased to announce the finalists for the 2017 INDIES Book of the Year Awards. THIS IS HOW IT BEGINS is a finalist! 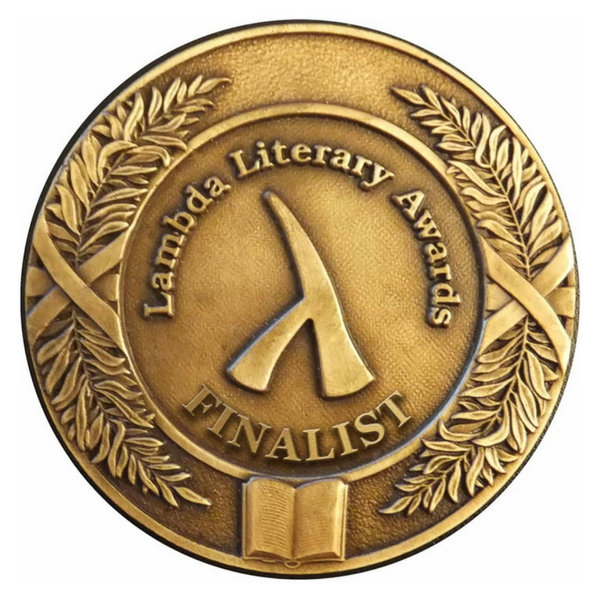 March 6, 2018—Lambda Literary, the nation’s oldest and largest literary arts organization advancing LGBTQ literature, announced the finalists of the 30th Annual Lambda Literary Awards – or the “Lammys,” as they are affectionately known. THIS IS HOW IT BEGINS is a finalist! March, 2018—Review: "In 2009, Ludka Zeilonka, art professor and survivor of the World War II, is unwillingly brought into the middle of a political battle when her grandson, along with a group of others, is fired from his teaching position. What follows is a story about free speech, intolerance, and what happens if bigotry is allowed to foment into violence." 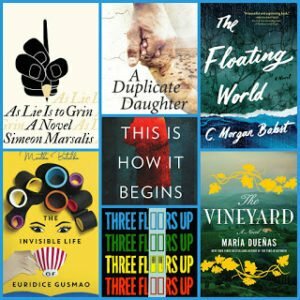 February 16, 2018—The American Library Association's Gay, Lesbian, Bisexual and Transgender Round Table has announced its list of selected titles for the 2018 Over the Rainbow List of Literature Titles, and THIS IS HOW IT BEGINS is one of those selected. 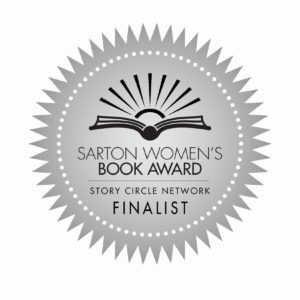 January 31, 2018—The Story Circle Network is proud to announce the 2017 Shortlist for the Sarton Women's Book Awards™. THIS IS HOW IT BEGINS is a finalist for in contemporary fiction. January 26, 2018—Bravo to Joan Dempsey for crafting such a poignant, profound and incredibly relevant novel. This Is How It Begins is smart, human, and completely necessary for the tumultuous times that we now find ourselves in. How to describe this novel…. January 10, 2018—Listen in as we discuss the multiple layers of This is How it Begins, and get some of Joan’s best writing techniques for juggling plot and characters. Conviction in "This Is How It Begins"
January, 2018—S.E. Fleenor writes, "What is perhaps most stunning about Dempsey's novel is her ability to empathetically show two diametrically opposed sides ... Dempsey's book feels prescient in our current political climate, and one need look no further than the Masterpiece Cakeshop v. Colorado Civil Rights Commission that is currently being decided in the Supreme Court to see evidence of just how the 'it' Dempsey's book warns of begins." Books to read after "The Handmaid's Tale"
December 29, 2017—"There’s no doubt that a future like the one we see in The Handmaid’s Tale is terrifying and yet we can’t help but love reading about these strange dystopian societies. If you’re looking for more altered realities and dangerous civilizations, these books are for you." December 28, 2017—"When writing a novel built around politically charged topics, great finesse is needed to avoid stereotypical treatments of potentially polarizing figures, as abusing stereotypes only diminishes the strength of characters and the sincerity of a narrative. Author Joan Dempsey's recent book, "This Is How It Begins," maintains that vitally delicate and nuanced approach, even as it tackles the very timely and contentious subject of religious freedom and its frequent contradiction with fundamental human rights." December 11, 2017—"On a crisp, clear October morning, the three of us hustled down Vesey Street in Lower Manhattan, not wanting to be late for our meeting with Deborah Treisman, fiction editor at the New Yorker." November 29, 2017—"The 2017 Poets & Writers Maureen Egen Award winner is a page turner of buried secrets, free speech, and religious bias focusing on Ludka, an 85-year-old artist whose grandson is one of many gay teachers fired in Massachusetts on a single day for their intolerance toward Christian students. Ludka’s past in WWII Poland, a lost painting, and a caring, conservative radio host are a winning combination. A perfect book club choice for these contentious times!" November 16, 2017—Conversation with Rhonda Rachael Mare Jantzen, an LGBTQ activist on the Central Oregon Coast. Her focus is on providing information, resources, and encouragement for the LGBTQ community and their supporters. November 15, 2017—Interview by Peter de Kuster. "As a fiction writer, I love getting to spend time inside the skin of characters who are unlike me, to figure out what makes them tick, and to explore the worlds they inhabit." October 20, 2017—"Contemporary discrimination against gay teachers rekindles an elderly art professor’s strong feelings of social justice, exposing her secret past as a member of the Nazi resistance." October 19, 2017—"In other hands, it is easy to imagine this story as an unwieldy Goldfinch-like brick of a novel. But Dempsey does not succumb to meandering prose or even particularly evocative imagery. The power of the story lies in its parable-like simplicity." October 17, 2017—Conversation about issues of bigotry in the novel, with Kathy Johnson and the community of readers at Bear Pond Books. October 13, 2017—Conversation about the writing life with James Blatch and Mark Dawson of the SPF Podcast. 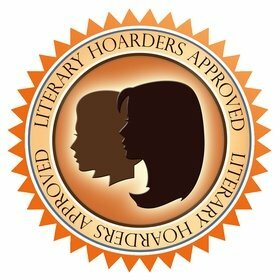 October 9, 2017—Guest Post on The Writer's Dig. Brian Klems introduces the post: "One of the most common challenges writers face in the character development process is conveying personalities (even those of side characters) in a naturally complex and believable way. Success in this aspect can mean the difference between a two-dimensional story and an immersive experience. But what’s the best way to get to know your characters intimately enough to bring them to life? 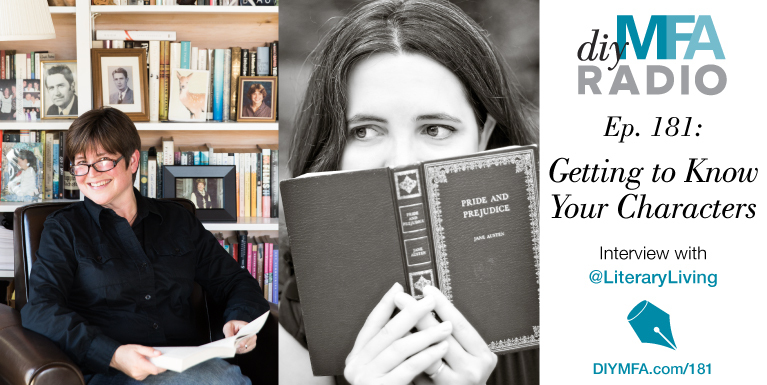 Here, Joan Dempsey dives into the heart of a critical element that can help you flesh out—no pun intended—your characters and enrich your novel." October 8, 2017—Review by Marae Hart. 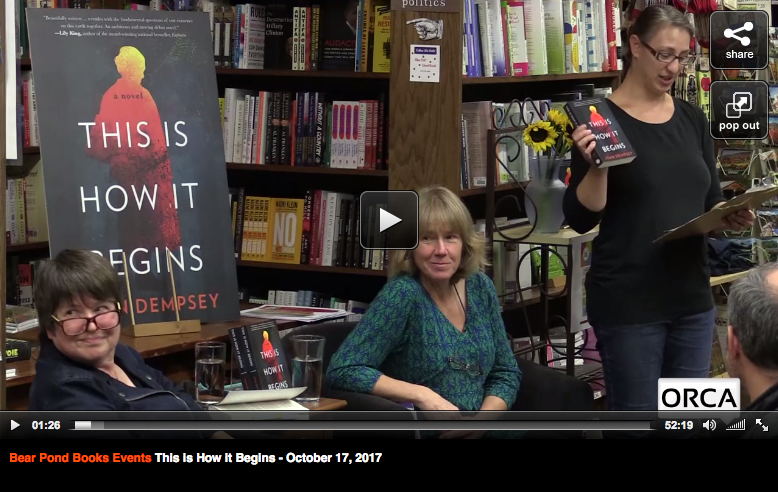 "'This Is How It Begins' is Joan Dempsey’s carefully detailed presentation of how quickly opposing views can escalate toward violence and how easily in a heated political environment a peaceful, well-established democracy can turn into an oppressive regime. Borrowing from the politics and experiences of Nazi-occupied Poland, the novel is a reminder and a warning of how closely the present is connected to the past, and therefore can be recreated in the future. 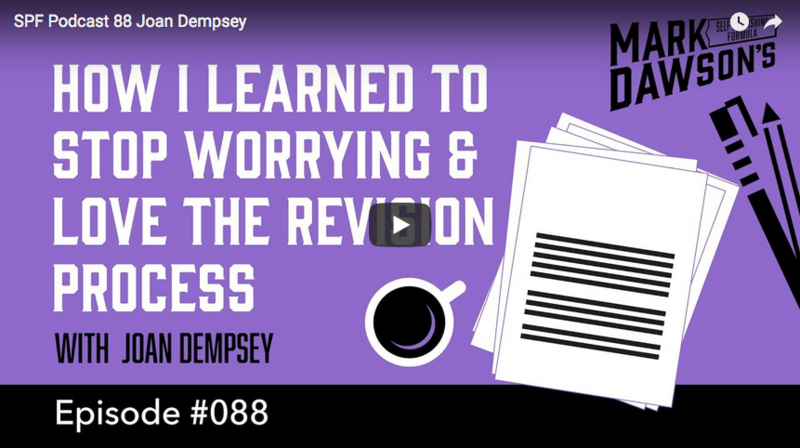 Dempsey is an award-winning writer who lives in New Gloucester. In this, her debut novel, her talent is evident." 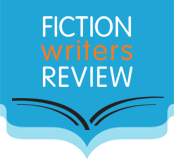 October 5, 2017—By Dawna Kemper for Fiction Writers Review. 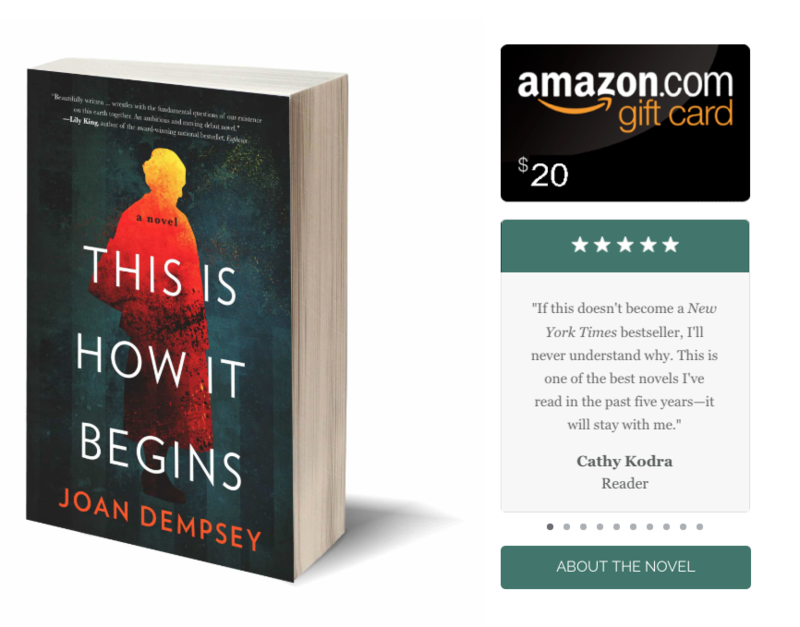 "Joan Dempsey’s debut novel This Is How It Begins (She Writes Press, 2017) is a powerful and moving exploration of a flashpoint in contemporary America: the organized efforts of the Christian right to advance 'religious freedom' laws in conflict with those who view such efforts as seeking to institutionalize bigotry. What’s striking about Joan’s handling of this volatile issue is her ability to depict the complexity of human nature on both sides, and how each camp feels fully invested and morally justified in their beliefs. 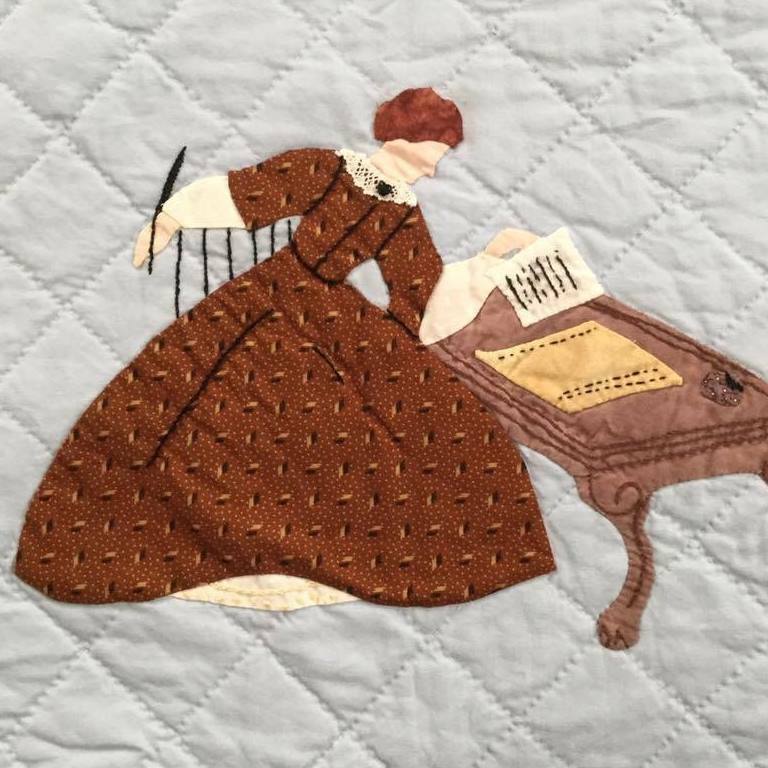 October 4, 2017—Interview by The Literate Quilter. "By sharing the story of Holocaust survivors whose gay grandchild loses his teaching position over his sexual orientation, Dempsey addresses relevant issues: How can conflicting belief systems learn to live together? What does it mean to be protected under the law?" October 2, 2017—In episode #55 of The Writing Coach podcast with host Kevin T. Johns, writing instructor Joan Dempsey, who previously appeared in episode 38, returns to the show to discuss the launch of her debut novel, This Is How It Begins. The book is political literary fiction exploring the clash between religious freedom and gay rights, and it’s already getting rave reviews. September 20, 2017—In her "I'd Rather Be Reading" column, Amy Canfield writes, " 'This Is How It Begins,' new this month from Maine author Joan Dempsey, is nothing if not timely. "It is also an enticing read, well written and researched and with mindfully drawn characters. The novel is an empathetic dive into discordant factions from two eras that impact one family: the Polish Resistance during the Holocaust and, in the current day, the Christian right vs. gays." Read the full review, and an interview with Joan Dempsey. August 24, 2017—Review from Bill Bushnell. 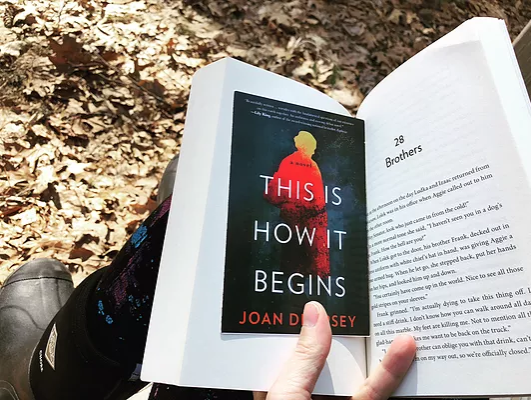 “'This Is How It Begins' is award-winning Maine author Joan Dempsey’s timely, suspenseful and powerful exploration of the very real conflict between religious freedom and civil rights. Dempsey is clearly a talented writer, unafraid to thoughtfully address controversial issues like sexual orientation and intolerance ... "